A professional soccer player in Croatia died on the field last weekend. His injury and death provide an important message for athletes, their coaches and parents, and anyone who runs a league or sports organization. Bruno Boban, a forward for NK Marsonia in Croatia's third-tier league, was struck in the chest by a ball in the opening minutes of his team's game Saturday. He jogged for several seconds before collapsing to the ground. A referee signaled for medical personnel, who tried for 40 minutes to revive him. The medics pronounced Boban dead on the pitch. While we don’t know the official cause of death, reports suggest Boban likely died of commotio cordis, a form of sudden cardiac death caused by a projectile hitting the victim in the chest. While Boban was a professional athlete, commotio cordis is much more likely to affect kids who play sports. Children and adolescents may be vulnerable to commotio cordis because their chest walls are more pliable and therefore susceptible to compression forces. More cases have been reported in boys, which might be because more boys than girls play baseball and lacrosse, the sports most often associated with commotio cordis in the U.S.
Five to 15 athletes die of commotio cordis every year, but that number might underestimate its true incidence because there is no mandatory reporting of these events. It's estimated to account for about 20 percent of sudden cardiac deaths in young athletes. Over half of the reported cases of commotio cordis have occurred in sports. Youth baseball is most often associated with these tragic events, but they can occur in any sport with projectiles traveling through the air. Hockey pucks, softballs, lacrosse balls and soccer balls have caused these events. Surprisingly, in studies of these events in baseball, it has been shown that the baseball does not have to be traveling at top speeds. Pitches between 30 and 50 mph caused 25 percent of cases. Chest protectors would seem to be an effective way to prevent commotio cordis deaths. But among athletes who died from these impacts, roughly one-third were wearing chest protectors. About one-quarter of the players were hit directly on the chest protector, while 78 percent were hit in an area not covered by the protective device. Moving the arms could have adjusted the device so that the ball struck an uncovered area over the heart. In early 2017, the National Operating Committee on Standards for Athletic Equipment (NOCSAE) approved a chest protector standard to reduce the likelihood of commotio cordis in lacrosse and baseball players. This chest protector performance standard went into effect in January. Recently, the FDA approved a device made of a four-layer composite material that lies directly over the heart. The company that created it sells pads and shirts with these devices sewn in, as well as chest protectors for lacrosse and baseball with the devices in place. A 2017 study performed by researchers at Tufts Medical Center in Boston showed that devices with these composite layers might reduce the risk of commotio cordis events. Tragically, commotio cordis is fatal in up to 90 percent of cases. The early use of an automated external defibrillator (AED) has been shown to improve chances for survival. Studies have shown that when resuscitation with an AED began within three minutes of impact, 25 percent of the patients survived. Only 3 percent survived if the resuscitation began after three minutes. Because of the high risk of death with commotio cordis, it is crucial that athletes, coaches and parents recognize the signs of this condition and immediately take steps to treat it. Pay attention to any athlete who was hit in the chest by a flying object like a baseball, hockey puck, or lacrosse ball. The athlete will usually stumble for a few seconds before losing consciousness. When you get to him, he will not be breathing and will not have a pulse. It is imperative to have an AED present and use it immediately. Someone with the team, preferably an athletic trainer, should be trained in CPR and the use of an AED. Someone else should call EMS immediately. 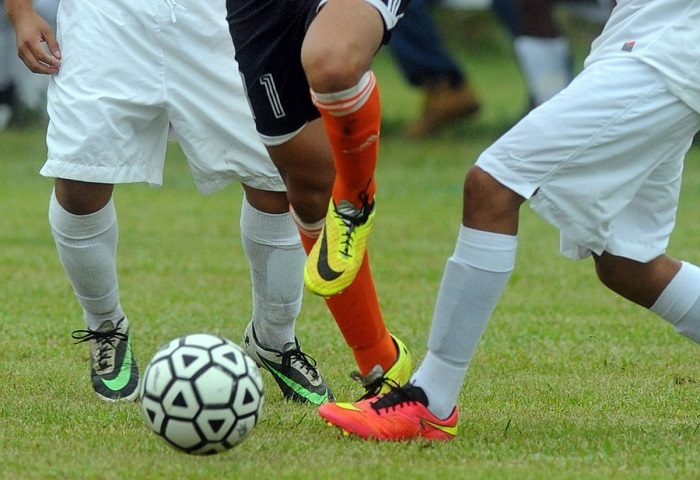 These events are fortunately rare, but they can and do occur in youth sports. If your children play sports like baseball, lacrosse, hockey or others in which they can get hit in the chest, you might look into these new chest protectors. And make sure your sports venue has an AED nearby and people who know how to use it.